Decommissioned, 1 August 1924, at Navy Yard, Puget Sound, WA. Sold, 4 April 1925, to John F. Blaine, Berkeley, CA. 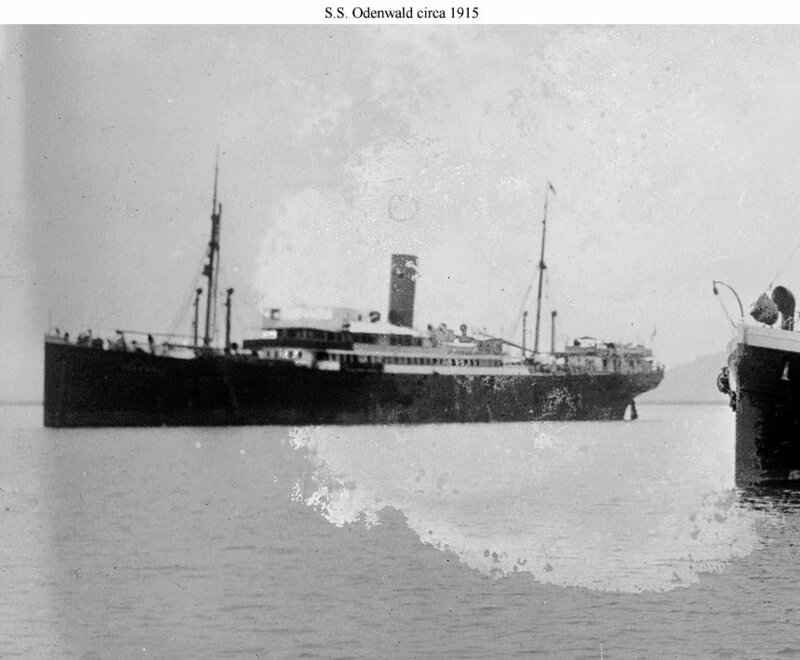 91k SS Odenwald at San Juan, Puerto Rico, in March 1915. She is being watched by the USLHT Myrtle, whose bow is to the right. 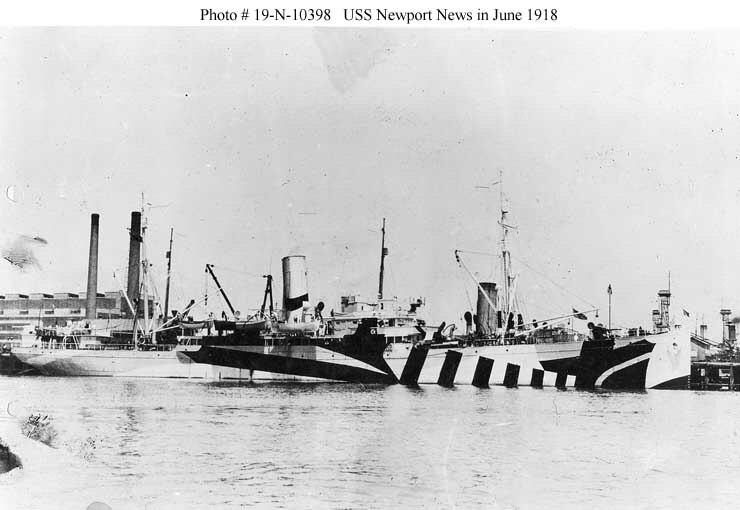 66k USS Newport News at the Philadelphia Navy Yard in June 1918. 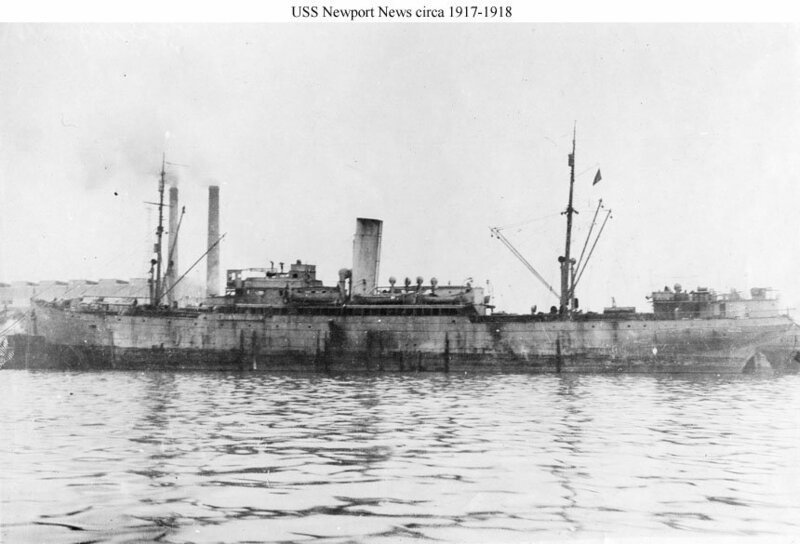 80k USS Newport News moored pierside, circa 1917-1918, location unknown. 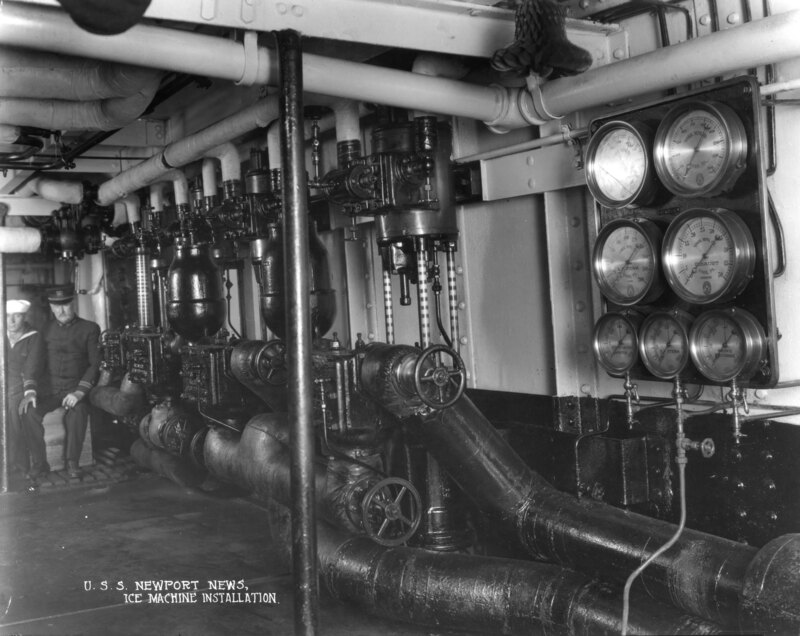 45k USS Newport News in San Francisco Bay, California, circa 1919. 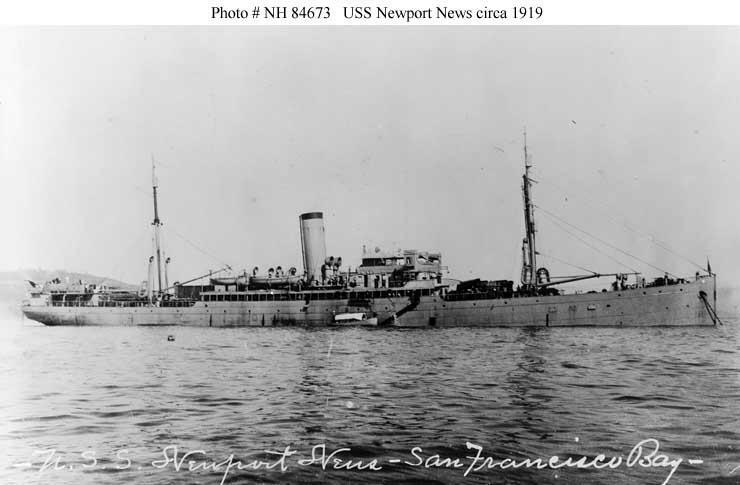 The ship served in the Pacific from August 1919 until she was decommissioned in August 1924. 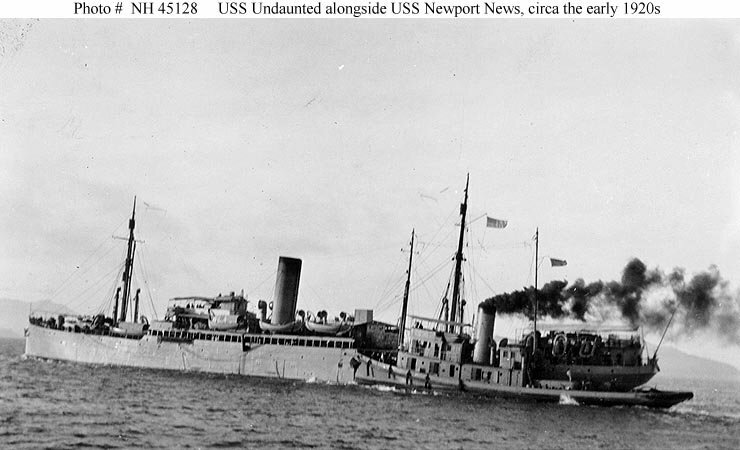 36k USS Newport News (AK-3) with USS Undaunted (AT-58) alongside. Probably in San Francisco Bay, circa the early 1920s. 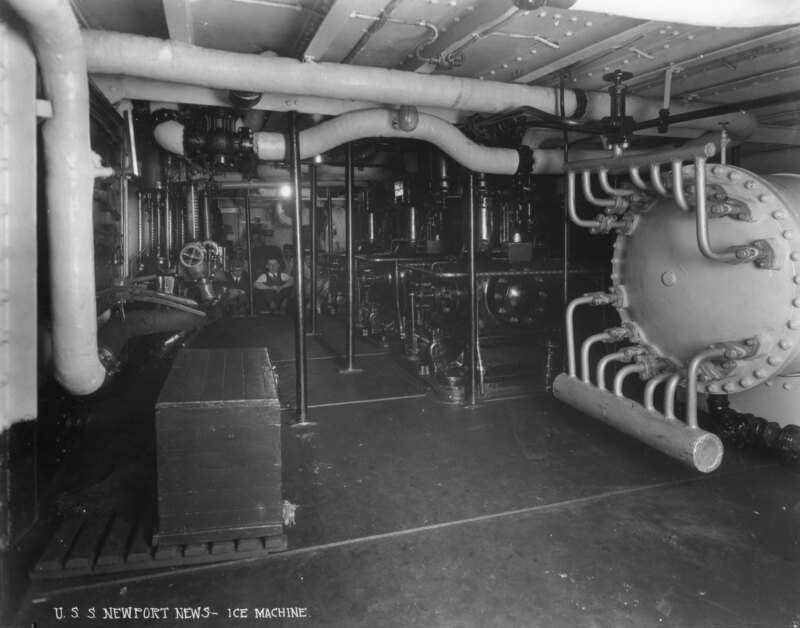 Photograph was received from the Office of Naval Intelligence, 1936. 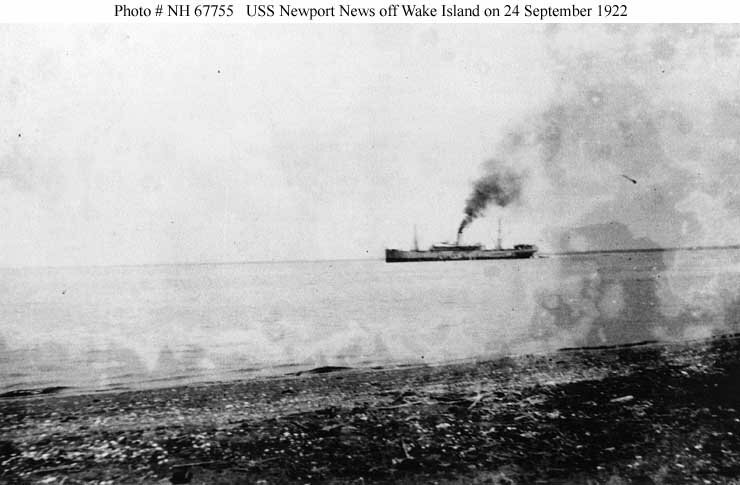 55k USS Newport News (AK-3) waiting off Wake Island, 24 September 1922, prior to putting ashore a large cache of fresh water and provisions for use in the event of a ship wreck there. This mission occurred during a period in which few ships passed Wake Island.